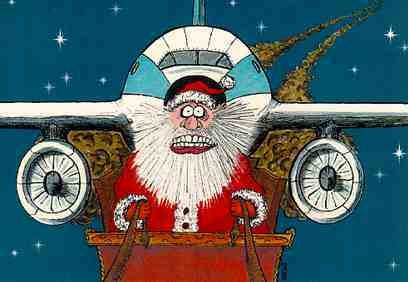 Everybody’s familiar with the image of the cackling, snaggle-toothed hag on her broomstick. Most of us recognize, The Wicked Witch of the West in The Wizard of Oz, The nasty old woman with the candy cottage in Hansel and Gretel. But not many know where the stereotype came from. In medieval Europe, the old-nature religions were practised before and then alongside Christianity. There were Druids, Norse Odinists and the witches who were the healers, priestesses and wise elders in many country villages. When the Inquisition was launched, all these groups came under attack, and in order to feed the frenzy, the inquisitors pictured the witches as evil, ugly devil-worshippers. It was propaganda in a religious hate war. Over a period of five centuries, several hundred thousand — possibly millions — of women, children and men were accused of witchcraft and killed. many were not witches, but elderly eccentrics or wealthy or attractive people with jealous neighbours. The real witches went underground and practised their religion in secret. The witch stereotype was false centuries ago, and it is false now. This hateful image connects women, old age, and power with ugliness and evil. It is a disservice to elderly women everywhere, especially strong, old women. And it is a slander on a living religion called Wicca or Witchcraft. Wicca exists today. It is a benevolent nature religion which teaches respect for the Earth and worships the Creator as both feminine and masculine. (Goddess and God). We celebrate the turning of the seasons, and full moons. We hold healing circles for friends and also send healing out to our ailing Earth. It has nothing to do with satanism, warts or hexes. I know, because I am a Wiccan priestess — a real Witch, not the fairy-tale stereotype. As such, October 31st is a special day in my religion because it is the end of the old year and the beginning of the new. We call it Samhain (Sam ain, rhymes with rain). People may not know or remember that the word Halloween is short for Hallowed Evening, also referred to as All Hallows Eve. Hallowed means sacred. It is a time when we remember and honour our ancestors and friends who have gone on before us (“Passed Over”, “Passed On”). While others are out trick-or-treating, we will be conducting a sacred ritual, one not so different from Christian ritual. We use candles, incense, and sometimes music. And we have cakes and ale (or donuts and apple juice, cookies and milk, etc.) to honour the Lord and Lady. As Halloween approaches, it saddens me to see the ugly images in store windows and advertising as part of the Halloween “fun.” I certainly don’t have any problem with the truly fun aspect of Halloween, such as trick or treating, or bobbing for apples. My niece and I go out trick-or-treating in the early evening before the adults get together for ritual. However, putting down any group of people — whether blacks, Jews, Muslims, old women, Pagan, Wiccans, or anyone else — is a poor way to celebrate a holiday. So here’s a request from a neighbour. Decorate your house or store with goblins and spooks if you like — they’re not real. And black cats and pumpkins — they won’t care. But skip the ugly “witch” pictures — I’m real, and I do care. 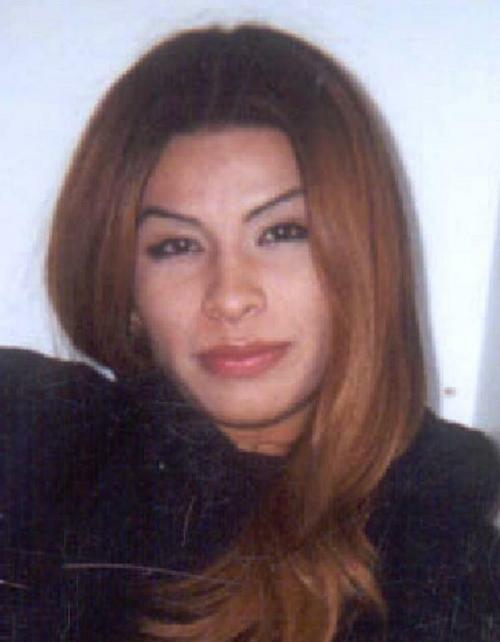 I wont go into full detail here buy on October 3rd, 2002 Gwen Araujo (February 24, 1985 – October 3, 2002), was beaten, strangled and eventually buried in a shallow grave because she was a pre-operative trans woman. She was killed by four men, who beat and strangled her after discovering she was transsexual. Two of the defendants were convicted of second-degree murder, but not convicted on the requested hate crime enhancements. The other two defendants pleaded guilty or no contest to voluntary manslaughter. In at least one of the trials, a trans panic defense–an extension of the gay panic defense–was employed. So let us all light a candle on October 3rd for this young woman (and yes she was a woman!). Or is it Happy Ishtar? Yes, it’s true Christians have celebrated Easter Sunday for centuries, as the day of Jesus Christ’s resurrection, the true roots of Easter holiday traditions and activities can be traced back to pagan celebrations. Did you know, the word Easter appears only once in the Bible, and even then it is actually a mistranslation of the Greek word for Passover, the festival that Jesus would have celebrated (as a Hebrew). That’s why strict Puritans in the past would have nothing to do with Easter, seen as merely a Pagan invention and therefore not a true religeous holiday. So if Easter isn’t related to Jnesus, where does the word Easter Come from? There are several theories, but most experts agree that the name Easter comes from Eostre which in turn is a corruption of Astarte, the mother goddess of the ancient Assyrians, also known as Ishtar. 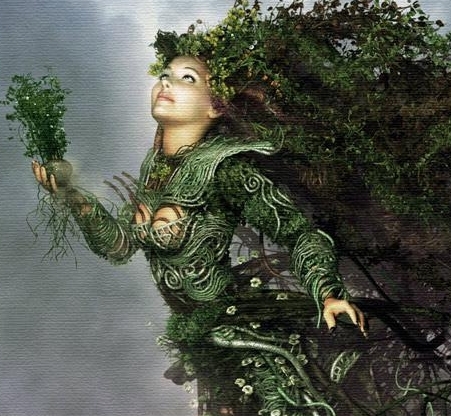 Eostre/Ishtar was the goddess of rebirth, and in early times the feast of Eostre/Ishtar took place around the time of the spring equinox, celebrated earth’s resurrection and rebirth. So how did Christians get involved? What about the resurrection of Christ? Here too, Christians made the decision to incorporate ancient pagan practices into their religion. The general symbolic story of the death of the son (sun) on a cross (the constellation of the Southern Cross) and his rebirth, overcoming the powers of darkness, appears in many myths throughout the ancient world. There were also plenty of stories of amazing resurrections from the dead. In fact, according to myth, the goddess Ishtar herself was hung naked on a stake, and later resurrected and ascended from the underworld. But for millennia before the Christian religion imposed its beliefs, people were celebrating the spring equinox, possibly the oldest holiday in human culture. For a world tied to the rhythms of nature, the end of winter -a dead, dark season and the beginning of spring, with the rebirth of life- must have been a truly joyful time. Also the symbol of Ishtar. According to ancient myth, she owned a magic hare that hibernated all winter underground and bounded to life every spring, giving out presents to good children. The egg has represented fertility and restoration for a long time, probably long before our ancestors had any knowledge of sperm and ova. Eggs are perfect symbols of the regeneration that comes with spring. This symbol is so ancient scolars aren’t quite sure when its use began. The fertile earth grows the reeds, the reeds are woven into baskets, which then hold eggs. Simply put, Mother earth, womb like basket that holds eggs. Reserection (rising again) = …Um, I let you draw your own conclutions on that one. Hot cross- In the Old Testament we see the Israelites baking sweet buns for an idol, and religious leaders trying to put a stop to it. The early church clergy also tried to put a stop to sacred cakes being baked at Easter. In the end, in the face of defiant cake-baking pagan women, they gave up and blessed the cake instead. So there you have it Easter’s true meaning. So Happy Ishtar! Sponsor me and help 4.6 million Canadians! On Sunday, June 9, I am participating in The Arthritis Society Walk to Fight Arthritis, presented by the makers of TYLENOL®. I am walking and raising funds to support 4.6 million Canadians who live with the pain and disability caused by arthritis. Since it was founded in 1948, The Arthritis Society has contributed $175 million to arthritis research and has supported millions of people living with the disease. Funds raised from events like the Walk to Fight Arthritis allow The Arthritis Society to continue the important work that they do. Every day they strive to improve the treatment and management of arthritis pain and, ultimately, to find a cure for the disease. Please consider sponsoring me and supporting this important cause. Secure online donations can be made with your credit card and an electronic tax receipt will be sent to you by email. Just click on the link below and it will take you to my personal fundraising page where you can sponsor me.